If your air conditioning system isn't working properly, you may be having issues with your condenser fan motor. 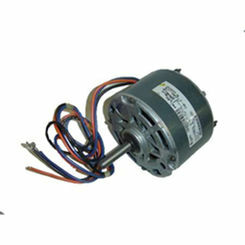 You're in luck because PlumbersStock offers discount replacement motors for a variety of heating and cooling applications. Save on the best HVAC parts available anywhere online when you shop with the home improvement experts at PlumbersStock. 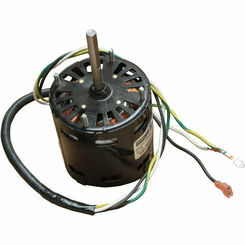 Browse through various replacement condenser fan motors and get the best part for your unit. 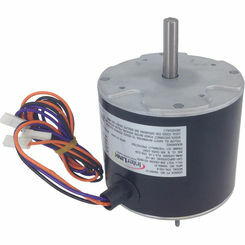 What Are Condenser Fan Motors? Condenser fan motors are used to blow outdoor air into the condenser coil, effectively cooling the hot gas within. 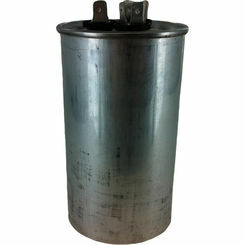 The gas inside the coil then condenses as it cools and the heat energy is released from the coil into the outdoor air. Condenser fan motors can be used as replacement parts for older model furnace and fan coil motors and are often thermally protected to extend the lifetime of your motor and AC system. 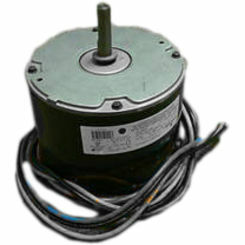 If your condenser fan motor goes out, the good news is many replacement motors are universal and can fit hundreds of different AC systems. 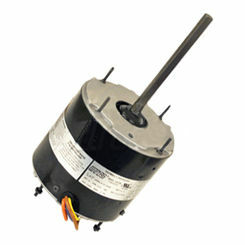 We offer some of the best condenser fan motors from the top brand Lennox to ensure you get the lowest price possible for your replacement part. Has My Condenser Fan Motor Gone Bad? 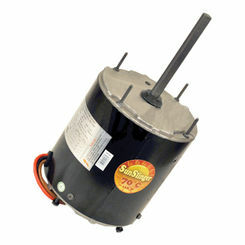 If you suspect your condenser fan motor is on the decline, don’t be so hasty to replace it. Doing a little research can save you time and money in the long run, not to mention regret if you find out later it wasn’t your motor that needed to be replaced. 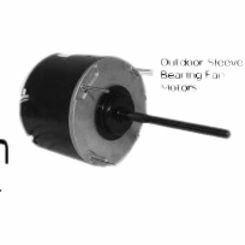 To help you figure out whether or not you need to replace your condenser fan motor, check out this simple step-by-step motor troubleshooting guide. Does the Fan Blade Spin? If your fan blade is spinning freely, feel the motor to see if it’s hot. If your fan blade is not spinning freely, your motor is out and needs to be replaced. Is the Motor Hot? 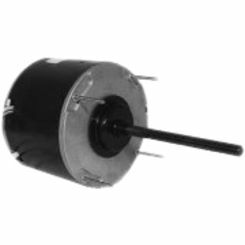 If your motor is hot, the next step is to check its run capacitor. 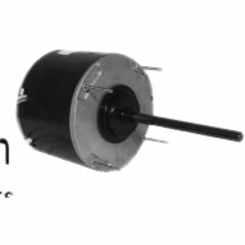 The run capacitor is a mechanism that stores electric charge. 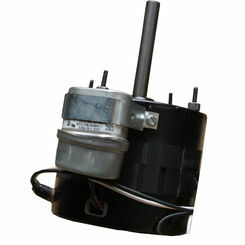 This electrical device is found on the fan motor and the compressor in most HVAC systems. Your capacitor will find two ratings: The first will be the system’s capacitance given in microfarads (mfd). This measures how much charge your system can store when a specified voltage is applied. The second rating is the voltage rating which tells you what supply voltage your system was designed for. 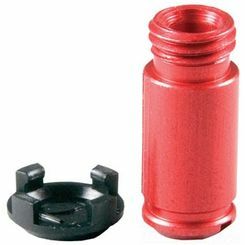 The second rating is typically 370vac or 440vac. This is important to remember because applying higher voltage than the system is designed for can cause your capacitor to fail. Testing the Run Capacitor – To test your capacitor and see whether or not it’s bad, you’ll need the use of a multimeter. Shut off the power supply then short out the two terminals on the capacitor using a screwdriver. Disconnect the wires from the capacitor and place the leads on the terminal. You should now have a reading. Ideally you’ll want the reading to be within 6% of the rating of the capacitor. If over 6%, replace your capacitor. If you’re still not entirely sure if this is the problem, some obvious signs your capacitor needs to be replaced are if it is bulging out of your unit or leaking. If the Capacitor is Fine – If your capacitor passed the reading, allow your motor to cool before turning it on again. Your motor should start without a problem and fall into the right speed. If the condenser fan fails to start or isn’t spinning fast enough to properly cool, replace it. 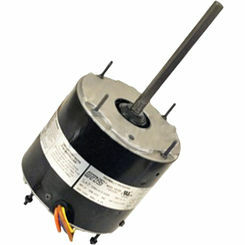 Horsepower – though they may be universal fan motors, they offer a variety of HP ratings. 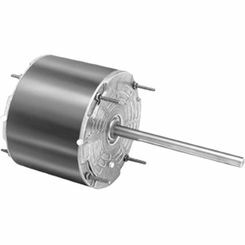 Direction Fans Rotate – universal fan motors come with the option of dual fan rotation in order to meet your specific AC unit’s need. 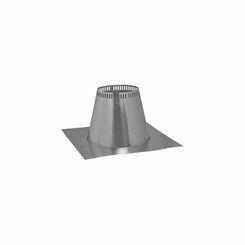 Mounting Method – fan motors offer a variety of mounting options. When you shop with PlumbersStock, you can save big on HVAC replacement parts and get your central air system running like new in no time. Save on some of the best brands in the business, and get your part shipped fast.